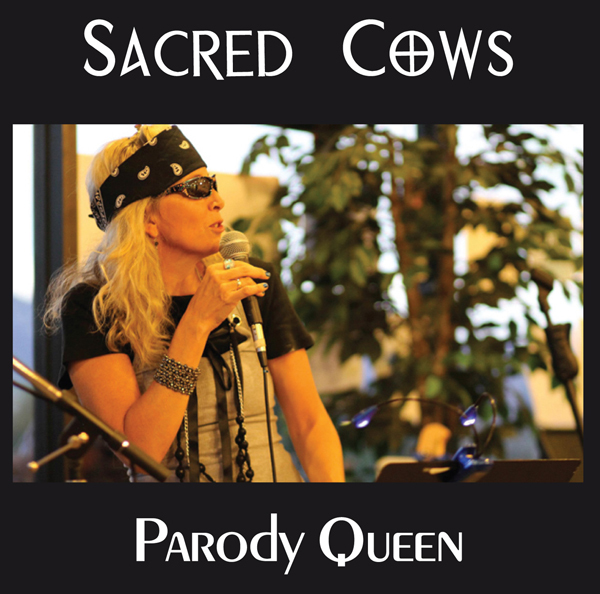 She’s back with her second parody CD, SACRED COWS. Parody Queen continues to stomp on the devil’s head by taking back the music for God’s kingdom with this new collection of original Christian parodies. Sacred Cows takes you on a wild ride from the 60’s with the Beach Boys thru the 2000’s. Parodied artists include Lorde, Eagles, Robin Thicke, George Michael, Katy Perry and more. This is truly a moving CD with pop, rock, and danceable music. Mark Abernethy is showcased singing Jesus Is The Way a parody of Joe Walsh’s Rocky Mountain Way while lending his background vocals on most every song. He continues to be the techno wiz playing all guitar parts, drum programming, keyboards, and just making the Queen sound great.